Developers have begun construction on an office building located behind Panda Express along Portland Road. The Coleman Office Building will be located at 613 Elliott Road and house 12 to 13 offices. The owners, Keith and Kevin Coleman (KCK Partners, LLC) and Amy Garvin, are a farming family that has been in the area for many years. "We're really excited to be contributing to the community and giving business owners a really awesome place where they can land their business," Garvin said. "There's so many cars that come in and out of the Starbucks and Panda Express, it's a great location for marketing too, it's great street frontage. We've been working on it since March of last year and we are really excited to see it go up." Garvin is Kevin Coleman's daughter and Keith and KevColeman are twin brothers. She will manage the tenants and help handle bill payments. "We are tag-teaming it," she said. "We are trying to figure out if there is going to be one tenant or multiple tenants." 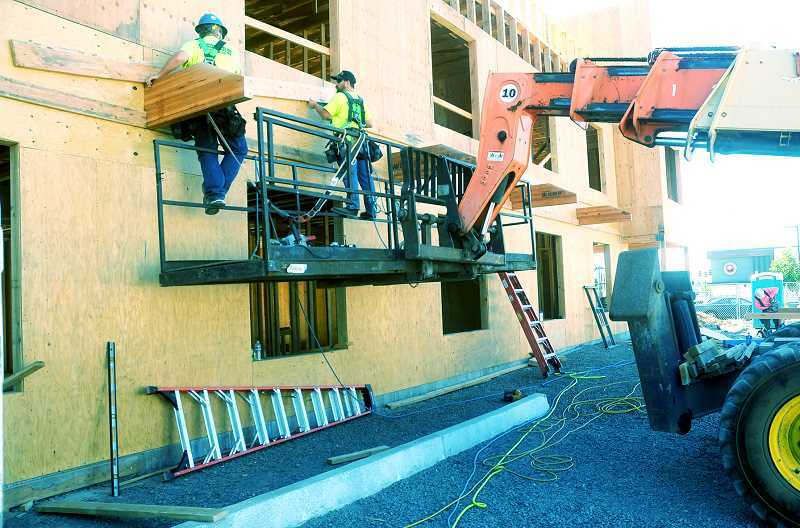 The compact two-story, 3,710-square-foot building should be finished in November. The offices will vary in size and the building will feature a conference room, kitchen and bathrooms. A private residence was previously located on the property and the new site will include 20 parking spaces and street landscaping. The design of the façade will include corrugated metal and stone that will break up the mass of the building. "It was a long tedious process, so we are excited to see it getting done," Garvin said. "The framing should be done in the next couple of weeks."